One of the sub-classifications of mollusks, which are a class of shellfish. The two sub-classifications are univalves and bivalves. 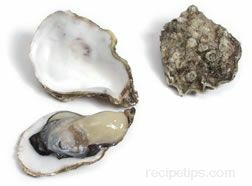 The bivalves have two half shells, which include shellfish such as clams, mussels, oysters and scallops.